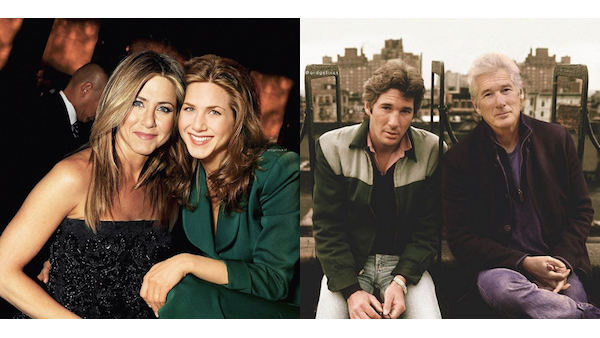 If these portraits of Jennifer Aniston and Richard Gere had you doing a double take, you’re not alone. Ard Gelinck has bestowed some Photoshop magic on the images of renowned personalities to leave them posing with their younger selves in this unreal, yet captivating, ‘Then VS Now’ series. See Barack Obama, Richard Gere, Julia Roberts, Lady Gaga, the Olsen twins, and many more household names simply chillin’ with their former selves in the Photoshopped edits below. For more of his works, follow Gelinck on Instagram @ardgelinck.